Mice are a common problem, and they can become increasingly difficult to kill. After some time, it may seem like the mice are too smart to be caught by your snap traps. You set your traps, then find that the mouse has managed to steal the bait without getting caught. When using these types of traps, there are two ways you can make it more difficult for the mouse to steal the bait: Sticky Food Method and Super Glue Method. 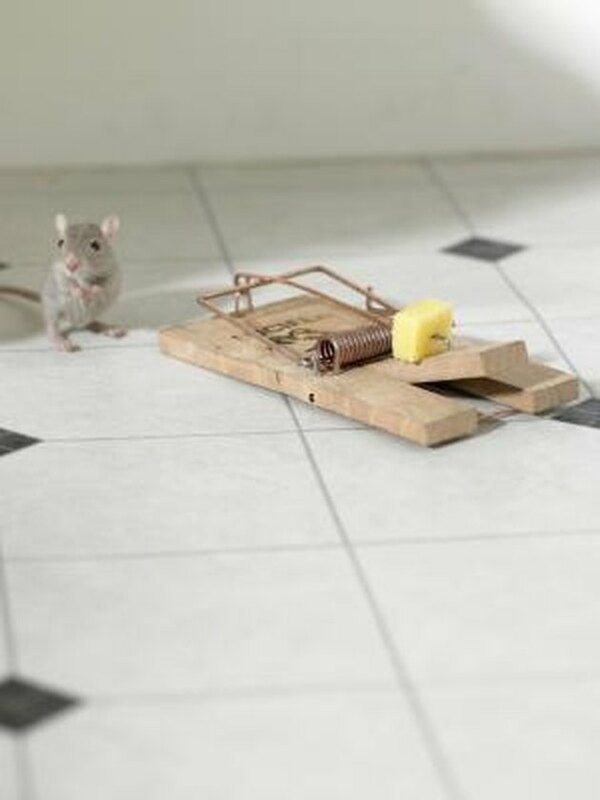 By setting your traps a certain way, you can keep mice from stealing the bait. Smear peanut butter, cream cheese or a similar sticky food on the catch. The catch is the curled piece of metal that is on the same side as the hammer, or snap bar, before the trap is set. Pull the hammer back to the other side of the trap carefully. Hold the bar in place with your thumb. Slide the hold-down bar, or locking bar, across the trap, and hook it under the curled metal catch to lock the hammer in place. Place your trap in an area where mice traffic. Usually, in a corner or against a wall works best. Take a solid piece of food like cheese or a single kernel of popped popcorn, and glue it on to the catch. Pull the hammer back, and hold it in place. Hook the hold-down bar under the curled metal catch to lock it into place, and let go. Rick Radcliff became a full-time freelance writer in 2010. He has also ghostwritten for private clients, specializing in health and technology. Radcliff is pursuing a Bachelor of Arts in English from Pennsylvania State University.